Before a court can divide property between spouses in a divorce case, it must distinguish between the spouses' separate and marital property. This is because, in most states, only marital property is divisible in divorce. Marital property, sometimes referred to as community property, is property acquired by either spouse during the marriage. For example, income earned by either spouse while married is typically considered the marital property of both spouses. Separate property, on the other hand, is anything either spouse acquired before the marriage or during the marriage by inheritance or gift. It can also be anything a spouse acquired during the marriage with separate property or separate funds. For instance, if a spouse used funds earned before the marriage to purchase a car, that car is likely to be considered the acquiring spouse's separate property. Once the court identifies the spouses' separate and marital property, it will move on to distributing the property it has identified as marital between them. How the court divides this property is determined by the distribution scheme followed in the state. A minority of states, such as California and Arizona, follow the community property method of distribution. In these states, courts divide marital property equally between spouses. The majority of other states, like New York and Florida, adhere to the equitable distribution method. These states distribute property between spouses in a manner that is fair and just, though not necessarily equal, after considering several factors set forth in state law. These factors typically include the length of the marriage, contribution of each spouse to the marriage, including as homemaker, and each spouse's income, age and health. Occasionally, courts are unable to readily distinguish between a couple's separate and marital property. This typically happens when separate and marital property is commingled, or mixed together. This often occurs with money, usually when married couples share bank accounts or use separate funds to buy marital property or pay marital debts. For example, if one spouse deposits her separate funds into a joint bank account where marital funds are also deposited, the separate funds have become commingled with marital funds. As time goes on, it becomes harder and harder to identify which funds in the account are the separate property of one spouse versus the joint property of both spouses, especially if family bills are paid from the account. In cases like this, courts typically lump all the money together as marital property and divide it all during the divorce. If commingling has occurred, the onus is on the spouse claiming that a portion of the funds are separate property to prove it. To do this, the spouse must be able to trace these funds to their separate property source. 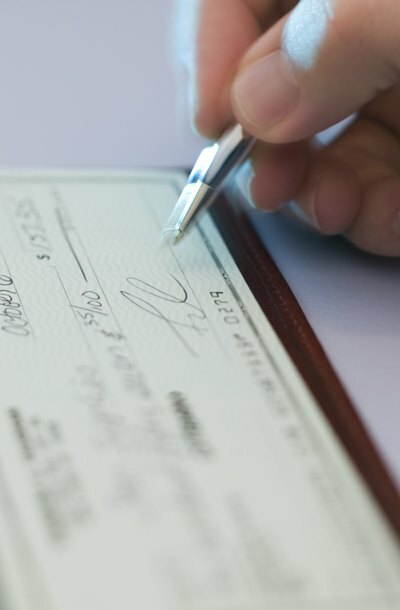 In the case of a commingled account, this may mean providing the court with one or more withdrawal receipts from a separate account that only contained separate funds, such as money earned before the marriage, and matching them to deposits made into the spouses' joint account on the same day for the same amount. If a spouse is able to adequately trace the funds to their separate property source, the court will not divide this money in the divorce because she has proved it to be her separate property. However, if she is unable to trace these funds, she's out of luck and the money will be split between both spouses. Findling Law: The Dangers of Commingling Assets. What Was Mine is Now Ours?